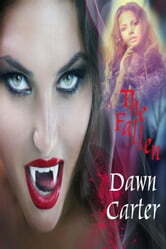 Turned into a vampire 1200 years ago, Nira fights hard to regain her humanity. She makes a pact with the Gods to fight the evil who is trying to destroy mankind and in return, the Gods agree to grant Nira her wish to become human. A vampire assassin hardened by centuries of fighting against evil; disciplined and loyal, Nira never strays from her mission or the rules set out for her. She purged all her weaknesses, including her emotions to the back of her mind. In a twist of fate she meets Stephanie, and finds herself not only fighting for her soul, but for Stephanie's life. But the moment she met Stephanie, something dangerous awakens in her, something possessive and powerful, she discovered she would do anything to protect the woman who was slowly claiming her heart, even break all the rules if she has too. What happens next, not only shocks Nira but also Stephanie. In the end, it is Stephanie who saves Nira...and more.